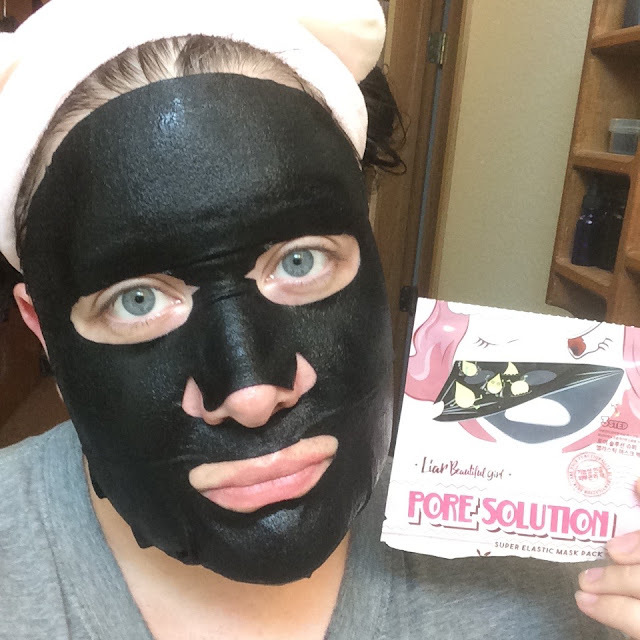 As a gal with clogged pores (and plenty of them) I was excited to give this mask a try. 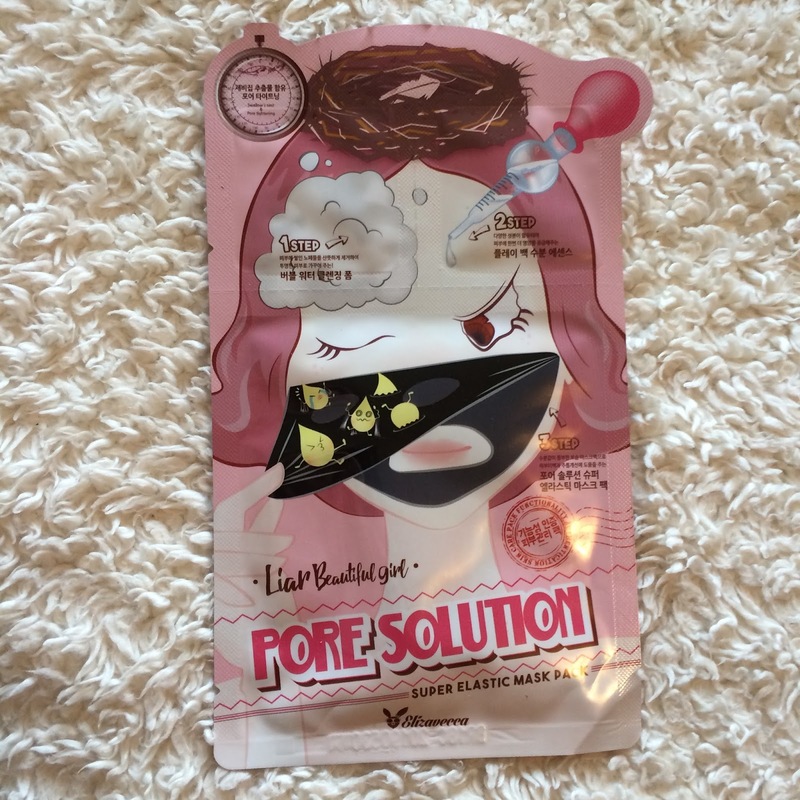 It's a three step mask (as the title implies) and since it has "pore" in the name, and a hilarious illustration of blackheads and sebum being pulled from the skin, I thought the chances were pretty good that this mask would be pretty useful to me. The first step of this mask is a cleanser. The cleanser has a very light scent, and is very creamy feeling - almost reminding me of a melted marshmallow. 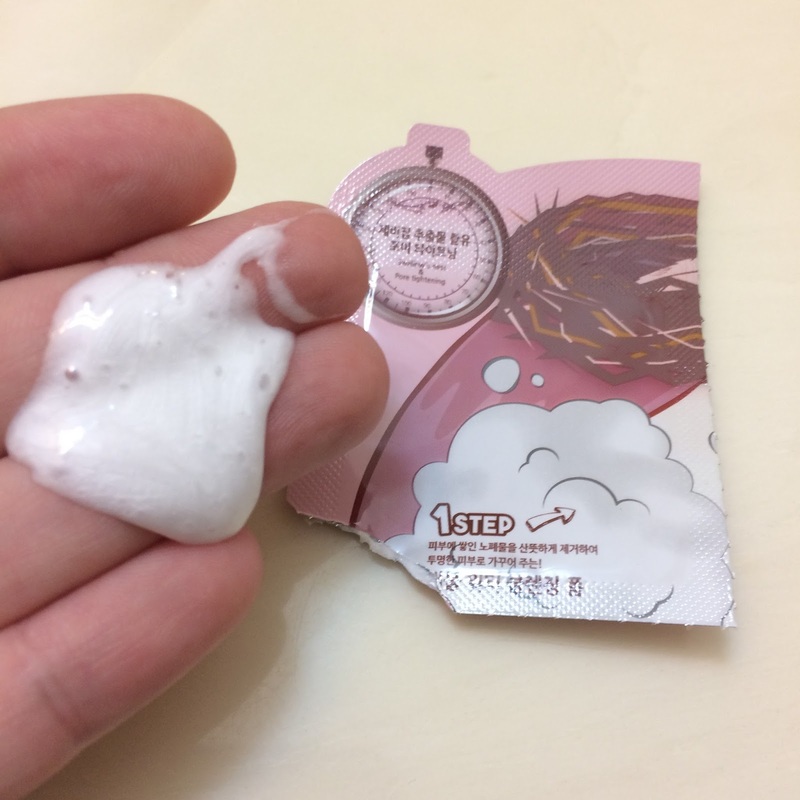 It lathered up well and felt great on my face, but it did feel a bit tight after rinsing. The cleanser for step one has a pH of 10. Step two of this mask is a hydrating essence. 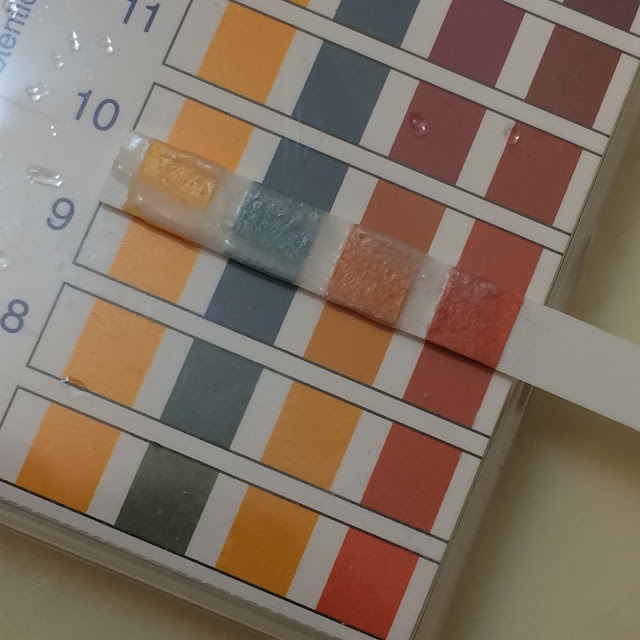 It's a bit thick - almost like a gel, with a powdery alcohol scent. It absorbed into my skin quickly, and left my face feeling pretty smooth. Step three is, of course, the mask itself. It's black in color due to the inclusion of charcoal, which is supposed to help draw impurities from the skin and pores. The essence was thin, had a light fresh scent, and seemed to absorb into my skin easily. 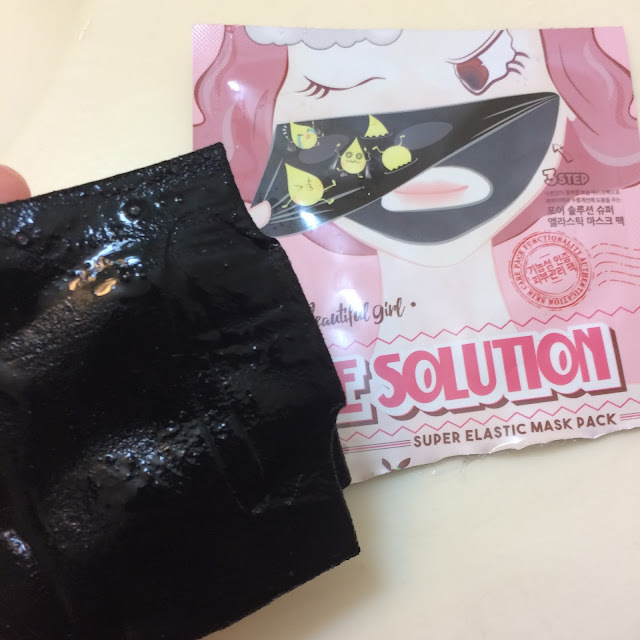 To my disappointment, this mask does not actually pull anything from your pores as the illustration implies on the packaging. However, I was still pleased to see my skin looking clearer, my pores cleaner, and my face looking more fresh. Where can you purchase it? Amazon (affiliate) and BB Cosmetic.